Following internal complaints from its privacy team, Google has been forced to shut down a data analysis system it was using to develop its censored search engine for the Chinese market known as Project Dragonfly. The disagreement between the privacy team and the those working on the Chinese search engine had huge implications on the project and eventually led to it being shuddered. The dispute began in August when The Intercept first revealed that the Google employees working on Project Dragonfly had been using a Beijing based website to develop blacklists for its potential Chinese search product. These blacklists were used to block out information censored in China from appearing on its search engine for the Chinese market. The website in question, 265.com, is a Chinese web directory service that claims it is “China's most used homepage.” Google acquired the site back in 2008 from Chinese entrepreneur Cai Wensheng with the intention of using it to learn more about the search terms frequently used in the country. While 265.com is a homepage for Chinese web users, it is not actually a search engine and all of the searches it processes are redirected to China's most popular search engine Baidu. 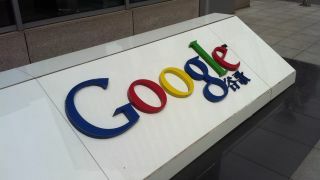 Google used this to its advantage and the company utilised the search data it received from the site as a honeypot for market research by storing Chinese users' searches before sending them onto Baidu. The controversy with its privacy team began as a result of the team being kept in the dark about how the company was using 265.com to gather intel on the Chinese search market. Google's privacy team only learned of 265.com after reading The Intercept's report on it which infuriated them.